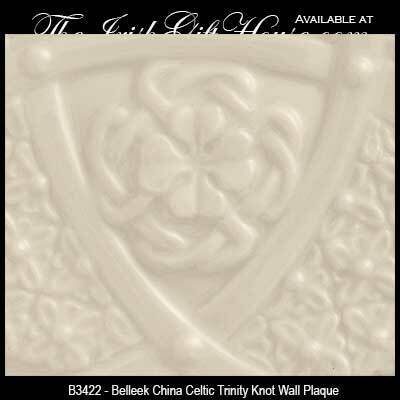 Belleek plaques include the shamrock and Trinity knot along with a lucky horseshoe and an Irish blessing. 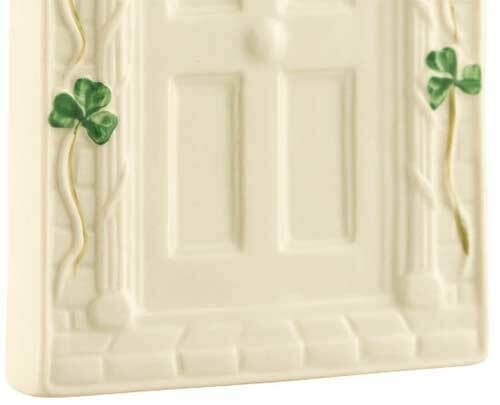 These Irish china plaques from Belleek with their hand painted green shamrocks will be a testament to your Irish heritage when they are proudly displayed on your wall. 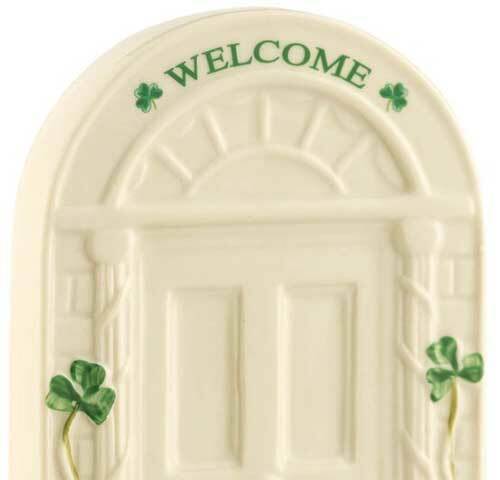 Belleek welcome plaque is a fine chine door with embossed detailing along with green shamrocks. 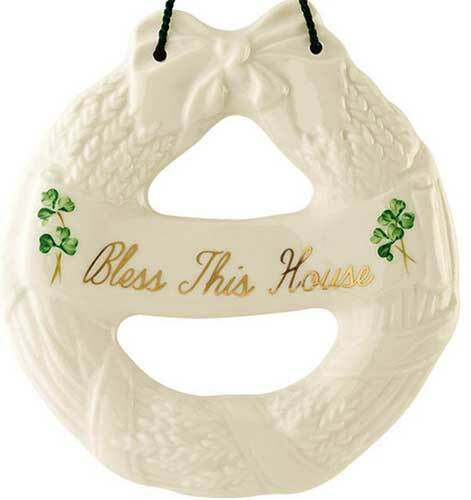 The Irish Gift House offers several hundred figurines and Irish Christmas ornaments from Belleek and you will find that each and every one is a testament to their Irish craftsmanship and to your Irish heritage. From the Belleek tea pots to the Belleek vases with their hand painted green shamrocks or floral designs, these works of art are made for the enjoyment of daily use. You will find that we offer many different gifts that are crafted in Ireland including our silver Claddagh necklaces from Solvar or the Galway Crystal vases. Additionally we stock Irish wedding gifts from Mullingar Pewter along with Irish perfume from the Fragrances of Ireland. When you add it all up, and include the several thousand pieces of Irish and Celtic jewelry that we offer, you will find that a vast majority of our gifts are made in Ireland, as they should!